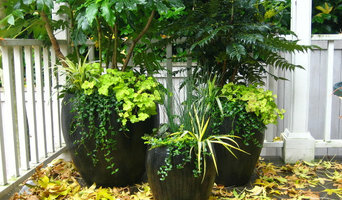 Seasonal Color Pots LLC, an award-winning Seattle landscaping company, offers container garden design, installation and maintenance for both exterior and interior containers. Owner/designer, Toni Cross, blends various plants and containers that reflect your taste and thrive in your location to create the perfect container garden for you. Owner/Designer Toni Cross has nearly 20 years of experience in her field and is a Certified Professional Horticulturist. Based in Seattle, Windsmith Design artfully blends local materials and native plants with Japanese maples, pines, and water features to create gardens that are meditative and healing, fusing the aesthetics of Zen temples with contemporary clean lines and open space, creating tranquil garden sanctuaries for residential clients. Principal Mark Bourne trained as a master Japanese garden designer in the traditional manner, completing a full four-year long apprenticeship to one of Japan’s most widely acclaimed garden designers. While studying in Kyoto, Mark had first-hand experience with new construction, restoration, and pruning in many famous and historically significant gardens. This included extensive projects in the Kyoto Imperial Palace, Katsura Imperial Villa, Shugakuin Imperial Villa, and the Zen temples of Kenninji Daihonzan, Daitokuji, Kodaiji, and Entokuin. He was also a member of the team selected to construct the Kyoto-Florence Sister City Garden, Italy. Currently, Mark is a scholar-in- residence at the Seattle Japanese Garden; he is a fluent speaker of Japanese with a proficiency in reading and translation. Mark brings this extensive training in Kyoto, Japan and 20 years of experience to every custom design. Seattle's Premier Landscape Design Build Firm | Best of Houzz 2018! 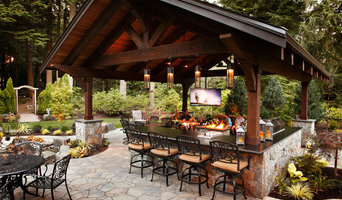 Seattle Design-Build Firm & Landscape Architect - 3x Best of Houzz! The work of this outdoor professional includes most everything surrounding a home's exterior. 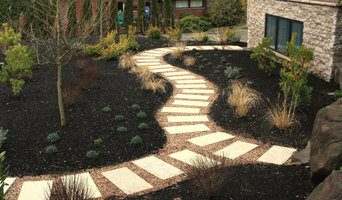 A landscaping architect can even work with the home architect to choose the right spot for your White Center, WA house. From there the White Center landscaper will develop preliminary concepts for your front or backyard design based on individual needs including the climate and activities that will take place, as well as layouts and planting plans. Landscape architects will also design any structures or outbuildings that will be added to the space. Any grading changes that will be added to the yard are also the responsibility of the architect. This includes any drainage modifications. An engineer can also be responsible for these tasks, but licensed Washington landscapers are fully capable. Like building architects, they will produce preliminary concept drawings as well as detailed construction documents and planting plans. Three-dimensional renderings and illustrative plans are all supplementary. A White Center landscaping designer generally will have ecological, aesthetic and technical training, which helps them maximize the potential of your outdoor space. Keeping in mind both style and functionality, garden designers analyze your architecture and yard to produce a plan that may or may not include location and materials for walkways, patios, water features, fences, garden aspects and more. In addition, a landscaper in White Center, WA will carefully assess your geographic region to choose plants, trees and flowers that will flourish naturally, as well as address concerns such as drainage, screening and soil conditions. Certain landscape designers only help with the planning portion, while some may deliver the plans and then oversee a hired landscaping contractor. Others — typically following a design-build approach — take care of both the design and all aspects of the landscape architecture and construction. 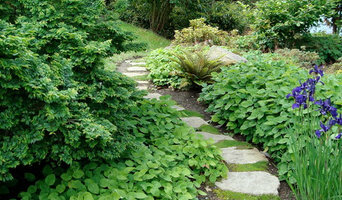 Before you hire a Washington professional landscaper, consider the scope and emphasis of your outdoor project. Landscape architects, who typically hold advanced degrees in their field, are trained to develop comprehensive structural plans that include plants, hardscaping, water use, drainage and more. Landscape designers typically specialize in the aesthetic and horticultural, rather than structural, side of yard and garden planning. They might or might not have advanced training. Even within their fields, a garden designer may specialize in hardscape- or vegetation-focused designs. In some cases you might need to hire additional help to get the outdoor space you want. Here are some related professionals and vendors to complement the work of landscape designers: . Find a White Center landscape architect on Houzz. 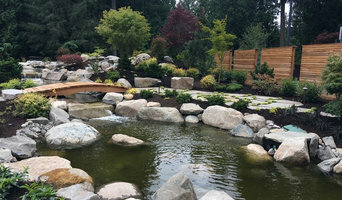 Narrow your search in the Professionals section of the website to White Center, WA landscape architects and designers. You can also look through White Center, WA photos to find a space you like, then contact the professional who posted the photo.